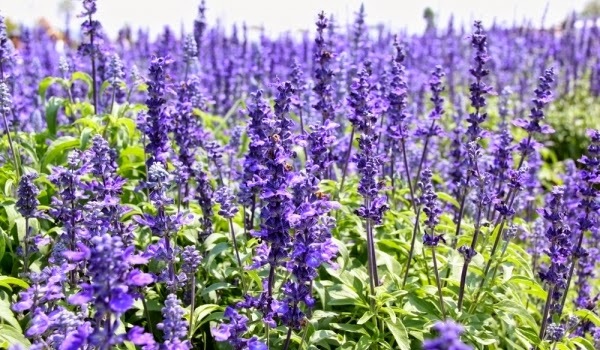 Image: A field of hyssop herb plants. Sin so often involves willfully being in the wrong places at the wrong times (“But David tarried still at Jerusalem” [v. 1]). Sin so often involves the entertaining, the feeding, the calculations toward, the planning, and the orchestration of lustful pursuits (cf. “And David sent/said/wrote….” [vv. 3, 4, 6, 8, 12 , 14]). Sin gets progressively worse in an attempt to hide other sins. Sin is persistent. It does not easily give up and go away. Sin is social. It involves others and drags them down with it. Sin is selfish and only protects self-interests. But I think we might just as well say that this chapter is not so much about the sin of David as it is the uprightness of Uriah. Uriah thought not of the satisfactions of his own lusts but of the honor of the Lord and the fellowship of his brethren in arms (v. 11). Where David caved in to sin, Uriah said resolutely, “I will not do this thing” (v. 11). Uriah, though he was not an Israelite according to the flesh, was a true Israelite. Let me also return to the final words of this chapter. The story is going to continue in chapter 12. But for now, it seems that David has literally gotten away with murder. Read through the chapter 11 and there are no moral judgments drawn along the way. The facts and details are simply described. But then we come to the final words: “But the thing that David had done displeased the LORD [But evil was the thing which David did in the eyes (of the LORD)]” (v. 27b). 1 Corinthians 10:12 Wherefore let him that thinketh he standeth take heed lest he fall.